One of the latest researches being driven in many organizations today is related to developing story-telling capability in leaders to enhance their effectiveness. Being able to tell a story is an art and also a skill, which, often, is a key success ingredient for people in many professions. If you follow a story telling ritual at home, the good news is that your child may already have a head-start in this area. Many parents make stories a bedtime ritual with their children while some designate some time during the day. Some parents get the child to choose their favorite story and it might mean repeating the same story for many days till the child chooses another one. Some parents look for a new story to tell. Some rely on just audio story telling while some engage the child in visuals as well. Stories are a great tool for facilitating the development of a child. Stories are not only able to get a child to listen and comprehend but also encourage thinking. Children are able to memorize key aspects of the story and ask questions. a) Get access to a story repository. Sign up for a conventional library, which can provide children’s books or get access to online stories (in text format). While you can make a child listen to pre-recorded audios, listening to a story in your voice is likely to be much better appreciated by the child. Don’t shy away from making up your own story some times too. It is a great way for you to get your message through. b) Designate a specific time during the day as ‘Story Time’. This is uninterrupted time with no eating, no phone calls, no television or other interruptions. c) Allow the child to have a say in which story / kind of story he / she would like to listen to. Everyone loves choices. Children do too. d) Talk slowly and clearly. Children need to follow the words, need time for comprehension and to visualize. e) Encourage imagination. Paint the scene by using more words than might be written. Point to the pictures to enable visualization. Use facial expressions to bring out emotions. f) Make it participative. Do not hush the child when he / she laughs about something or asks a question. Encourage observation and curiosity. Ask questions about new words or what just happened. It is important to ensure that the child was able to comprehend the story and it is interesting to note what the child registered from the story. g) Have fun. Story time is not a serious time. While the message might be serious from your perspective, making it a fun experience for the child will drive the message home much faster. Story telling is a wonderful way to get a child to pick up a language. One of the experiments we have recently started at home is to get my daughter to tell us a story every day, at bedtime. I am amazed by her imagination and how she is able to string together various events during the day, bring out aspects she wants to communicate in the form of a story. It is a great way to also encourage her to develop fluency in English too. Are we raising entitled kids? It is definitely true that our parenting methods are vastly different from generations past – we have far fewer kids, and we treat them as friends and equals, trying to make the family a democracy instead of what was earlier essentially a dictatorship. Earlier, responsibilities came before rights. But by giving kids rights much before they have responsibilities, if at all, we have created extremely entitled kids. Much of the blame lies with us as parents. When a kid wants, she gets. With both parents working, most families today have more money and less time, and this reflects in our interactions with our kids. Many parents want to be the cool parent and the nice parent and this, along with the constant guilt of not spending enough time with our children, leads us to give in to their demands. But what starts off as an indulgent gift of another Barbie soon escalates into an entitled child who wants everything ‘right now,’ and thinks that the world owes him. This behaviour is not just limited to families; these children are bringing their attitudes into the workforce. According to a report in the Wall Street Journal, corporations like Land’s End and Bank of America are hiring “praise teams” to keep up with Gen Y’s demand for constant positive reinforcement. So can we change this sense of entitlement? For many teenagers, two of the methods most advocated are volunteering and going out to work. One way is to get kids to feel more empathy, by volunteering among the less fortunate. This will give them a real sense of what ‘need’ really is – ‘need’ is not the newest fashion or the latest toy, but food in the belly and just a single piece of cloth to cover oneself. And though it may not always be possible for all children to do, kids who go out and work quickly realize how hard it is to earn money, and soon develop a healthy respect for money – how difficult it is to earn, and how easy to spend. Have you used any other methods to change this sense of entitlement in your kids? We’d love to hear from you! 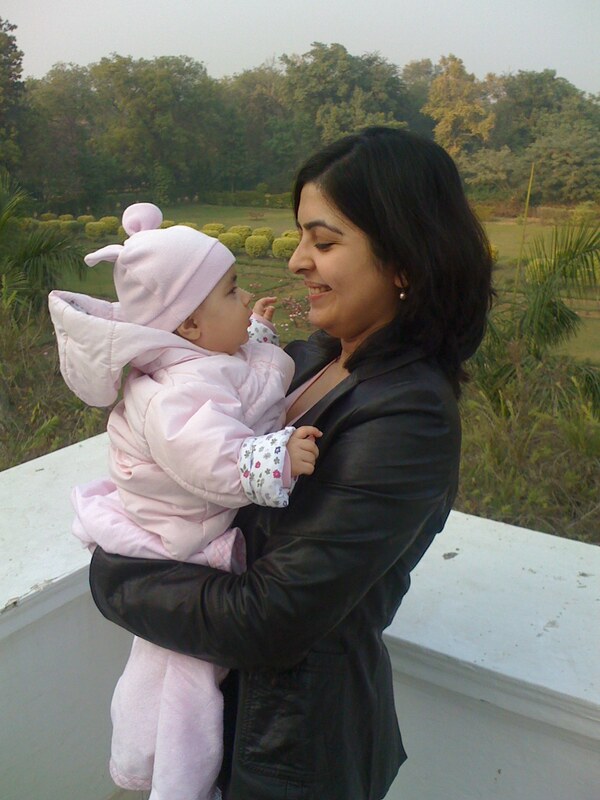 This blog post is a reproduction of Gayatri Kulkarni’s blog written for Parent Edge, one of India’s leading parenting magazines. In one of the discussions I was having with a group of parents on raising kids, one of the fears expressed by most parents was that of protecting their child from the unknowns in the environment. Every day, we witness a new form of ‘unsafe’ and it seems paranoid to assume that our child will experience it at some point of time. But that’s how we tend to be. We tend to be paranoid and rightly so. The truth is that anything can happen at any point in time so one can never be careful enough for what might be in store. To be able to expect that we can protect our child from all evils may be a bit like saying that we will start living in Mars. So, what do we do? This is a tough one for sure, but when in doubt, it is best to go to the basics. Consider starting from ‘A’ : ‘A’ as in Awareness. How much time do we spend in trying to get ourselves up to speed on what is happening around us…for instance, what do we know about party drugs? What do we know about webcams that can act as spy cameras? Do we know how to handle a fire? Agreed that it is tough to know everything while we focus on earning a living and managing a household, but well, our being aware is really the first step to our making our kids aware of the evils that exist. Educating our children about the ways they could be harmed might be our best shot at keeping them safe. The next question is, however, when is the right time to educate the child. As a parent, I believe, our best guide is really our intuition. The more tuned in to our child we are, the more we know the best time for something or the best way to get a point across. a) Establish an ‘awareness regime’ for yourself – Earmark a particular time in the day or week when you would be able to spend time reading up the issues that are plaguing today’s generation, what are the happenings in your city, what are some issues your child’s school is working on addressing, etc. b) Earmark some thinking time – Reflect on instances when you believe communication with your child seems to have not worked. Did you fail to get a point across because you might have been using an authoritative stance? What do you think might get your child to listen to you? c) Create a communication window – We don’t really plan the time we spend alone with our child. It may be incidental and hence, communication might not be clear or complete. Try sitting around the table after a meal or at tea time or hang around after a hobby class. The frequency is not as important as the quality of that time and how intentional you are about communication. The ultimate outcome of parenting, perhaps, is an individual who is aware of what is out there and who is confident enough to make a choice. If the child is aware and educated about the environment, chances are, he / she would make an informed choice or hopefully, want to communicate to solicit advice. In the absence of a communication window, the child is likely to be drawn towards experimentation and the rest may become an uphill task to deal with.